There is nothing quite like a beeswax candle. It burns slowly and brightly with a warm, yellow-coloured flame, emitting little or no smoke and giving off a pleasant aroma. Our solid natural wax candles are made with natural, un-refined beeswax usually from our own bees, but sometimes using beeswax from other beekeepers that we know. The rolled candles are made from beeswax sheets that we buy in. Sometimes these are coloured with a wax dye. We also sometimes produce coloured solid wax candles like the dragon in red or the pillar in red for Christmas, and these are a mixture of our own beesswax and ready-dyed beeswax that we have bought in. Some of the more ornate candles such as the bear and the dragon will not burn uniformly because of their shape. You can burn them if you wish, but they also make perfect ornaments and will give off a subtle beeswax scent. Rare and expensive. 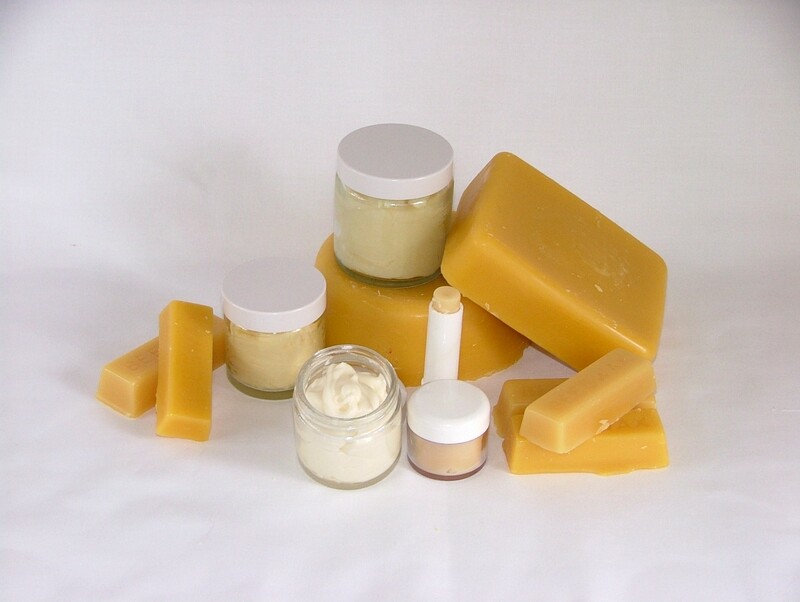 Beeswax costs about 10 times more than paraffin. It is estimated that the bees must fly 150,000 miles to collect enough nectar to produce six pounds of honey just to secrete one pound of wax. And for every 100 pounds of honey harvested, the beekeeper can only obtain about 1-2 pounds of the beeswax. Created by the bees, 100% natural, all chemical-free. Oldest candle known to man and prized since ancient times. (Note: There are no regulations on disclosing candle ingredients. Candles labelled as “beeswax” may be predominantly made of paraffin and contain as little as 5% beeswax. Look for “100% pure beeswax candles”. Burn stronger and brighter than candles made from other waxes. Emit naturally bright light of the same light spectrum as the sun. They are a gift from nature!